I’ve always wanted to cook something on Himalayan pink salt, but I just can’t for the life of me tell you why. I knew that flavor-wise there couldn’t be any real difference between cooking on pink salt, and simply seasoning with it, but that didn’t seem to matter. Just the idea of cooking on what’s basically a slab of crystal, appealed to some indefinable internal force inside of me. Having said that, I still reserve the right to continue to mock those people that wear crystals for their healing properties, because that’s just nuts. Anyway, back to these shrimp. As I summarize in the video: it was fun, I’m glad I did it, but I don’t think I would do it again, unless it was for some showy, interactive first course. 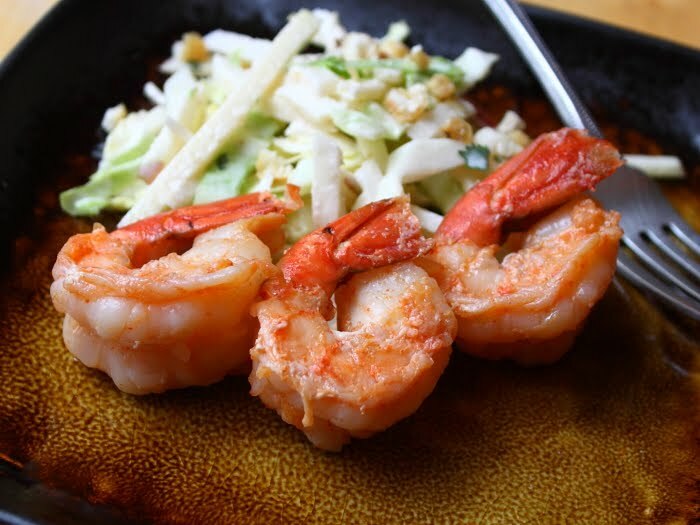 There’s no doubt letting your guests cook their own shrimp on hot, pink salt would definitely be a neat way to start off a dinner party. 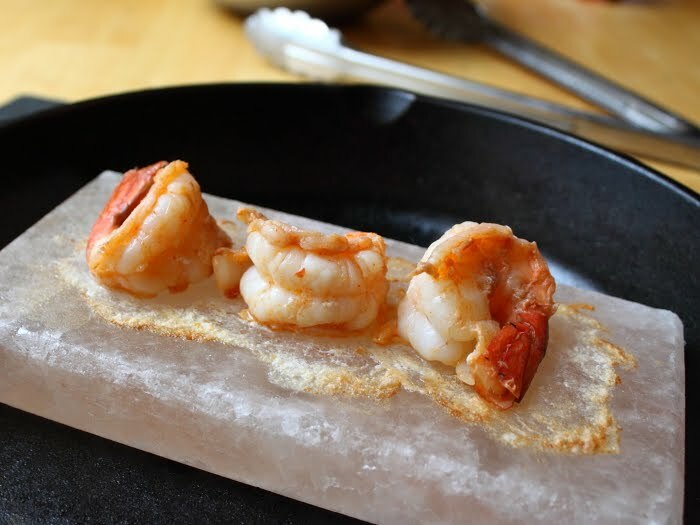 Above and beyond the Himalayan pink salt experiment, the ultra-simple shrimp preparation seen here can be easily adapted to your trusty non-crystal saute pan. You’ll be pleasantly surprised how good seared shrimp are with nothing more than a pinch of cumin and cayenne. Just don’t forget the salt! Enjoy. This entry was posted on Sunday, February 20th, 2011 at 13:55	and is filed under МЕСО, РИБА, МОРСКИ ПЛОДОВИ. You can follow any responses to this entry through the RSS 2.0 feed. You can leave a response, or trackback from your own site.